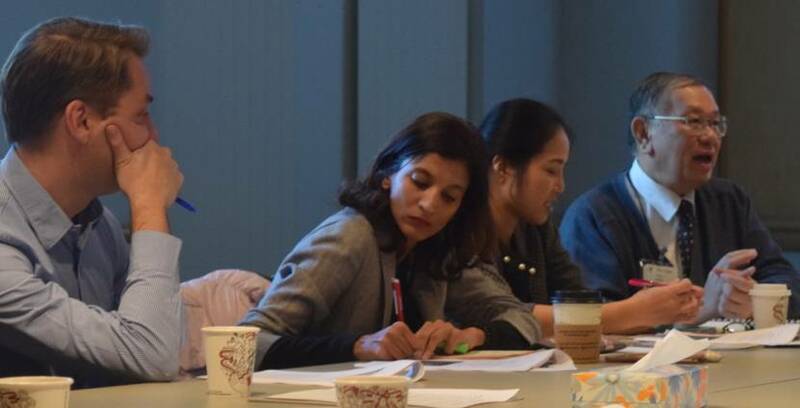 The Oregon Institute of Occupational Health Sciences at OHSU and the Oregon Healthy Workforce Center hosted four colleagues from Bangkok Dusit Medical Services (BDMS) last week as part of the Institute’s continuing partnership with BDMS through OHSU Global Health, Southeast Asia. Building on this partnership, the BDMS team at Prapadaeng Hospital led by Dr. Pankit has developed an innovative wellness intervention involving individual improvement strategies, organizational support (e.g., making work time available, setting up an area of the cafeteria for healthy foods) and social media that they are piloting now in Thailand. The project’s status was described by the visitors, a focus of the visit that was organized by Dr. Ryan Olson who is supporting research projects and strategic planning for the collaboration. 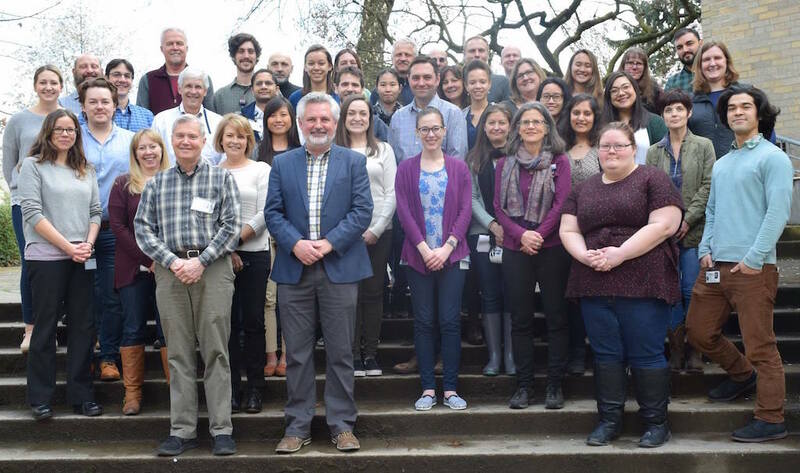 Institute and Oregon Healthy Workforce Center researchers described their mission and themes, and shared current research and methodologies on training, behavior tracking and occupational stress. Our Thai colleagues also attended our fall symposium on “Navigating Mental Health in the Workplace” and participated in our Behavior Change journal club with each partner describing their vision of important behavioral change research. Previously, Institute staff have supported occupational health and industrial hygiene training both in Thailand, and with visitors here in Portland, and as reported in Partnering in occupational health and Trading notes across the ocean.